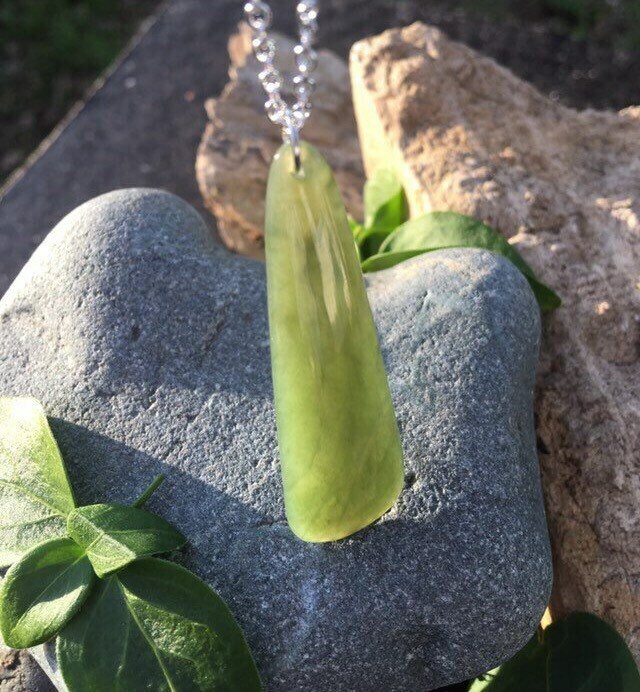 This amazing apple green jade is just a stunning piece! 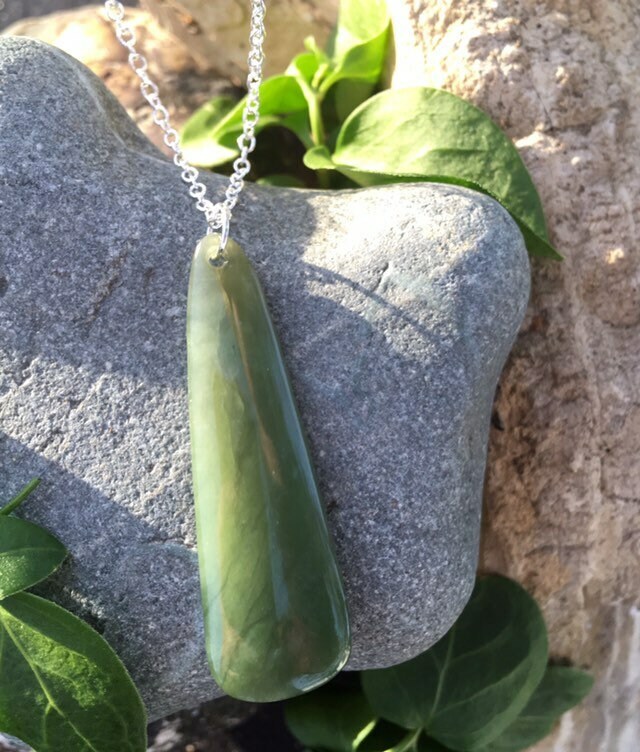 The light shines so beautifully through the stone and has even a more clear, white jade appearance in areas, as the sun hits it. 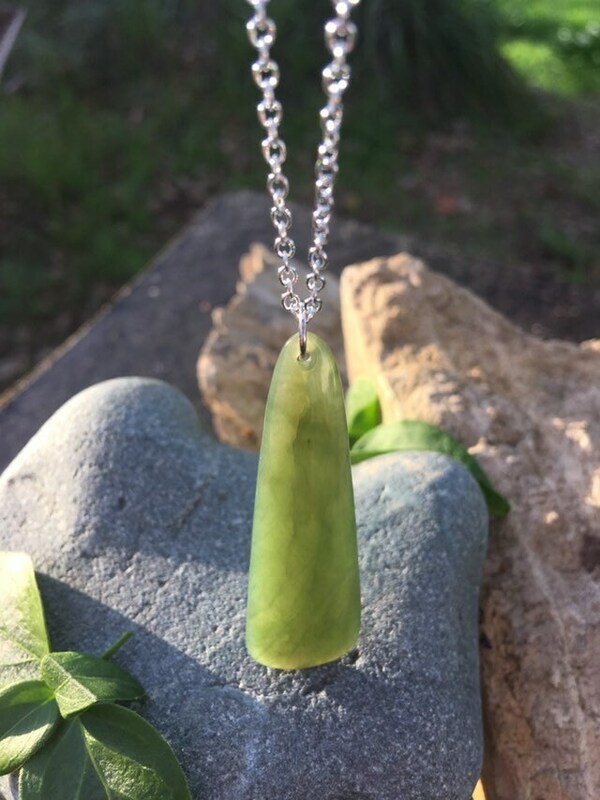 The jade piece is 2" long and 5/8" at its widest.